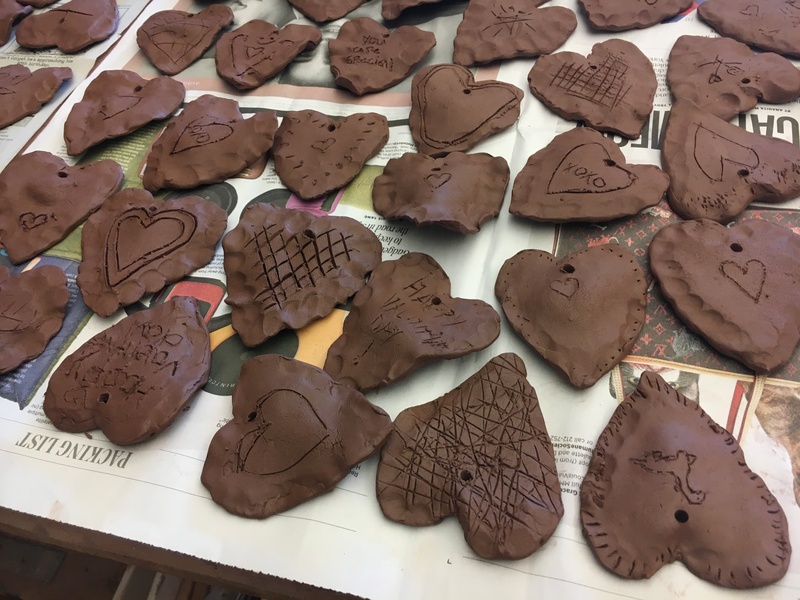 As part of ESD's Day of Service on MLK Day earlier this month, ceramics students created these clay hearts to deliver to Meals on Wheels for Valentine's Day. 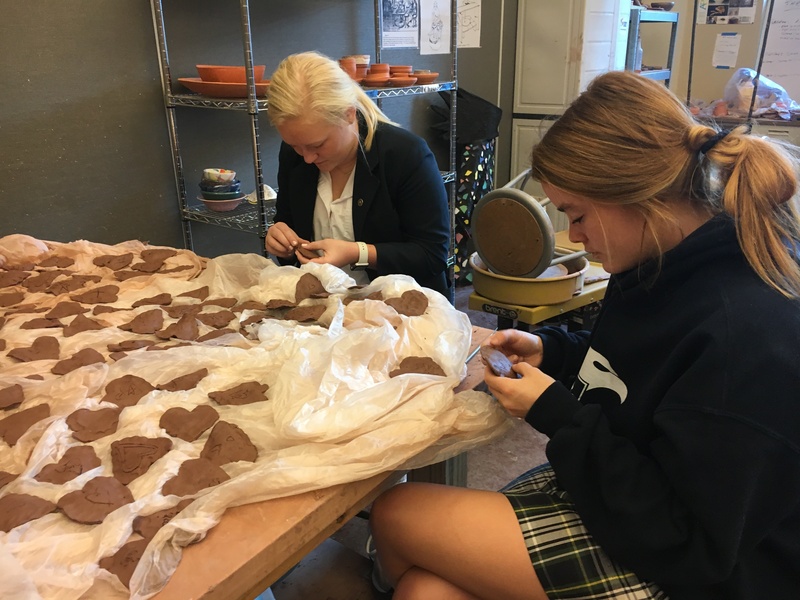 Pictured above: Elle Etcheverry '21 and Adeline Beichler '21 making markings to hang the ceramic hearts after firing. Creating these hearts required several in-depth steps, such as compressing sharp edges, drilling holes for later hanging, and several firing processes. After bisque-firing, the kiln will cool and allow students to unload the hearts. They will then airbrush teh color underglazes and hand-brush the clear glaze. The kiln will then be reloaded for the glaze firing. A day after glaze firing, the hearts will be unloaded and students will grind off any markings.